These are so neat. 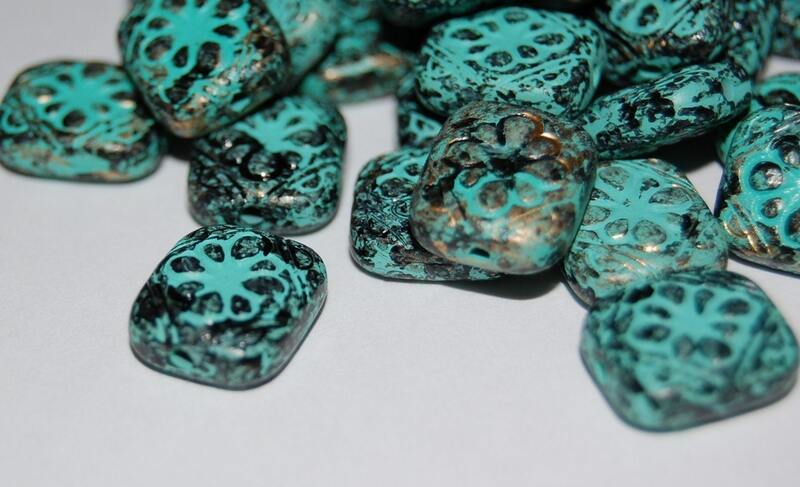 They are a vintage style etched tablet bead. 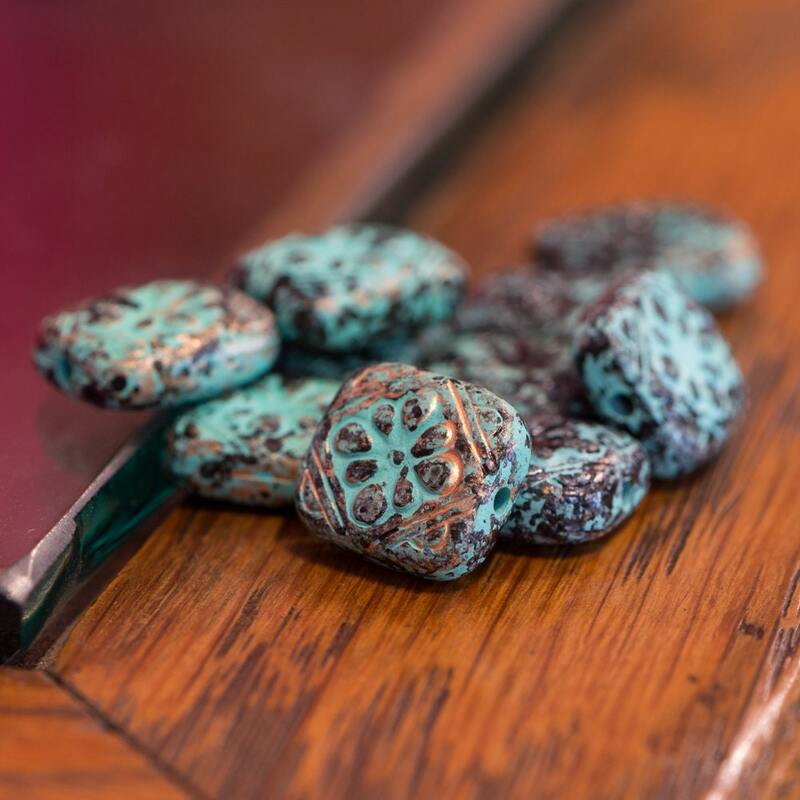 They look as though they have aged to pick up a verdigris finish. You can see glimpses of black and gold along with the greenish blue color. These measure 13mm x 10mm. You will receive 10 of these. 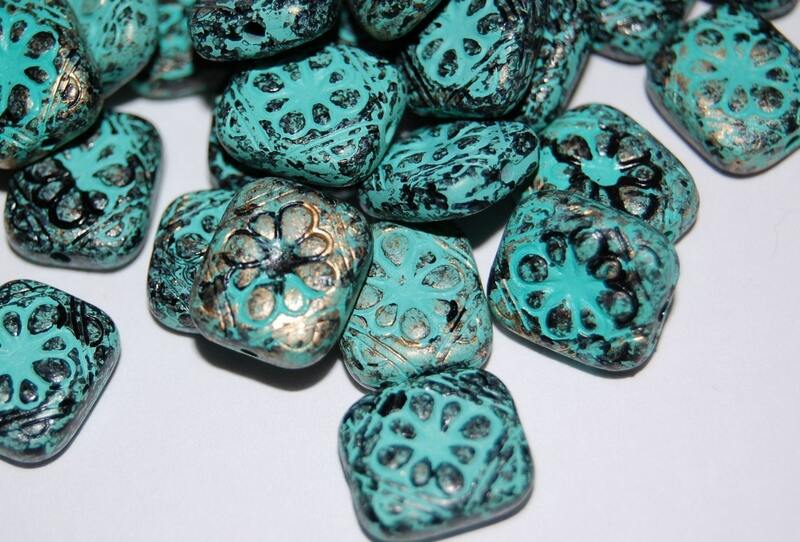 lovely deep verdigris color with varying degrees of black and gold---very pretty beads.